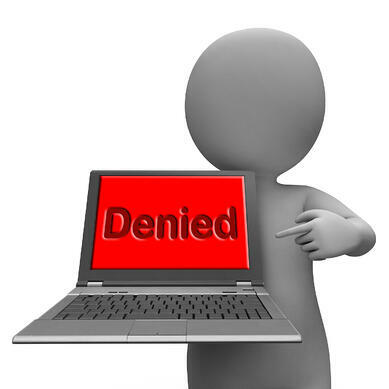 Denials are an ugly reality that every physician practice must address. It’s not a que stion of whether practices will receive a denial—it’s a question of when and why. Tip for compliance: Using an appropriate frequency code may be helpful. This code indicates that a claim is an adjustment of a previously adjudicated claim, and it reduces the likelihood that a claim will be denied as a duplicate. BlueCross BlueShield of Oklahoma addresses this issue on its Web site. Tip for compliance: Practices may need to append a modifier -25 to E/M code 99214. This modifier indicates that the E/M service was performed on the same day as a procedure. The diagnosis for both the procedure and E/M service may be the same; however, the service must be clearly separate and distinct from the procedure. Tip for compliance: Check with your specific payer to identify its policy on reporting 36415 (collection of venous blood by venipuncture). Certain payers may not allow separate reimbursement for 36415 when providers bill it in conjunction with a blood or serum lab procedure performed on the same day by the same provider. Note that commercial payer policies regarding this code may differ from those of CMS. Tip for compliance: Note that payers may deny code 99232 when it’s billed with the same date of service as hospital discharge day management procedure codes (i.e., 99238 and 99239). Check with your payer regarding its specific policy. Tip for compliance: This code denotes therapeutic procedures for strength, endurance, flexibility, and range of motion. When payers deny this service with reason code 22, the problem may be that the Worker’s Compensation Carrier—not the health insurer—is liable, as the injury or illness for which the therapy is performed could be work-related. The key to compliance is the ability to identify your practice’s most common denials—which may or may not correspond with the codes listed in this article—and then take steps to reduce denials before claims are sent to payers. Constantly monitoring and trending patterns of denials paves the way toward an uninterrupted revenue stream. Monitor any and all remittance advice. Look for trends in terms of denials related to certain codes, reasons, physicians, and/or payers. Perform staff education. Ensure that coders receive up-to-date training on code changes annually and that all practice management software, templates, etc. are updated with any new codes. Ensure a comprehensive registration process. Patient registration should include a detailed review of the patient’s insurance as well as relevant demographic information. Ensure accurate capture of the patient’s name, date of birth, insurance ID number, circumstances surrounding the illness or injury, etc. Stay updated on payer guidelines. Payers change their guidelines regularly, and someone within the practice must ensure that the information on which billing decisions are made is accurate and updated. If practices take the time to invest in monitoring denials, they’ll most likely reap the benefits shortly thereafter. As the industry continues to move toward ICD-10, practices should institute a strong denial management strategy to offset any denials that occur in the short-term due to the transition. For information on how RevenueXL's medical billing services benefit your practice financially and with compliance, contact RevenueXL today.